Clinical Significance: This test is used to detect Trichomonas vaginalis in clinical specimens. The test has greater analytical sensitivity than culture methods. Patient should not have urinated within an hour prior to specimen collection. 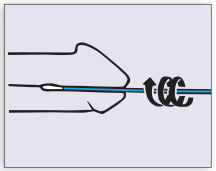 Discard cleaning swab (white shaft with red print on label). The cleaning swab if NOT needed for male specimen collection. 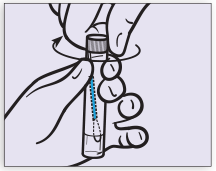 Insert specimen collection swab (blue shaft swab in package with green printing) 2 cm to 4 cm into urethra. 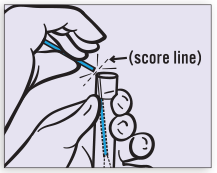 Gently rotate swab clockwise for 2 to 3 seconds in urethra to ensure adequate sampling. Withdraw swab carefully.